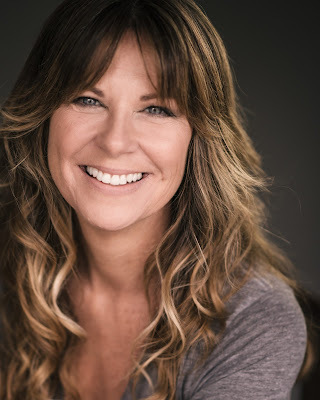 Mo Collins, a Minnesota native, moved to LA in ’98 where she landed “Mad TV,” giving birth to characters such as Lorraine, Stuart’s Mother, Trina and more. Post “Mad TV,” Mo built her credits with hit shows such as “Parks and Recreation” as Joan Callamezzo, Gyna in “40 Year Old Virgin” and Susan on Netflix’ “Lady Dynamite” . Mo Collins garnered her first Emmy Nomination in 2017, for her work on the animated show “F is for Family” on Netflix. She’s about to open onstage at the Whitefire in Damaged Furniture. How did your family react to your wanting to work as a performer of improvisation and sketch comedy? I wouldn’t say there was any great ‘reaction”. I think they all enjoyed coming to see my shows over the years, and who doesn’t like comedy!! On moving to LA with a 2 year-old in tow, Mom said “I think you’re crazy”, but still helped me pack and rode along with us in the truck. Dad said “I think you can do it!” And 9 months later I landed “Mad TV”. What was it like being nominated for an Emmy in 2017 for your work on the animated Netflix show “F is for Family.” Did the nomination lead to other work opportunities (and if so, what)? I was stunned!! I didn’t even know it was the season. I don’t pay too much attention to those things. But, yes, the phone call from our Exec producer stunned me!! It came out of left field. After so many years on camera, I get a voice nomination!! Who knew! Being nominated was fun and confusing! I didn’t know how to “work” it. I don’t have a team, ya know? SO, I got busy shopping dresses on Ebay. I did pretty well! Spent about $200 total on dresses for all the events. The nomination did absolutely nothing for my career. But I enjoyed the experience, love my certificate, and will forever have “Emmy Nominated” next to my name on IMDB. I win!! How did you get involved with the production of Howard Skora’s new comedy Damaged Furniture? Were you involved during the development process of the play? My husband, Alex (Skuby), had done his previous play Miserable with an Ocean View. I LOVED it. Howie is currently my favorite contemporary playwright. When he came to Alex with this new play, I eeked my way into the table read of an earlier draft, and Howie was gracious enough to ask me to play Aunt Laurie in the production. As far as developmental involvement, I was a part of table reads, and perhaps a few bits of feedback, but that is all. What lured you back to the theatre? Short answer? I miss the audience. I need to get up in front of people and get some instant feedback. I don’t get to work as much as I would like in the “industry” and choosing to do a play gives me a sense of taking control over the creative aspect of my life. It’s been 20 years since I’ve done a play, and the process feels real good down to my bones! I’m just hoping to convey Howie’s words in a truthful way, and to entertain the audience. I’m hoping they buy my character. She’s got a few screws loose. I love that. I hope the audience sees how much I love living inside this person, and we all have a great time. How did you and your husband Alex meet? I was told that this is the first time you’ve worked on a play together. What’s that been like? Alex and I met online!! Before online got too crazy! We went on a date to Cat and the Fiddle and then popped over to Tom Bergins. Both now closed!! We’re not letting that get in the way of our love.I play Alex’s aunt in the play so we’ve had some laughs about that. It’s interesting doing a show together because there’s no one to come home to and dump the stress of putting up a show! Our poor dogs are sick of hearing about it! Good question. And it’s always the question. Honestly, I’d love to get a series regular role and relax for a bit. Enjoy a TV family for a stint. That would be nice. Alas, it seems my life is about “seeking the next thing” and the fact that I am still here in this business doing that is proof of my resilience. It turns out I am always up for re-invention of self and my artistry, so bring on the next challenge!! Seriously….bring it. Where is it?? Show runs March 24 – May 26. Saturday evenings at 8:00 pm. For tix: go to damagedfurniture.brownpapertickets.com Whitefire Theatre is at 13500 Ventura Blvd., Sherman Oaks at the corner of Sunnyslope.